I have always had a thing for Saint Patrick’s Day. It must be my Irish heritage, and love of all things magical. And who wouldn’t want to surround themselves with lucky charms? This year, I stitched up a fresh version of my Lucky pin cushion. You can make your own with the full tutorial HERE. I’m loving the delicate pastel shades. The four leaf clover on the top is the perfect finishing touch. This pin cushion has also just been featured in the March issue of Bustle and Sew Magazine. Check out the preview! I also had an idea for adding a lucky charm to Miss Molly! 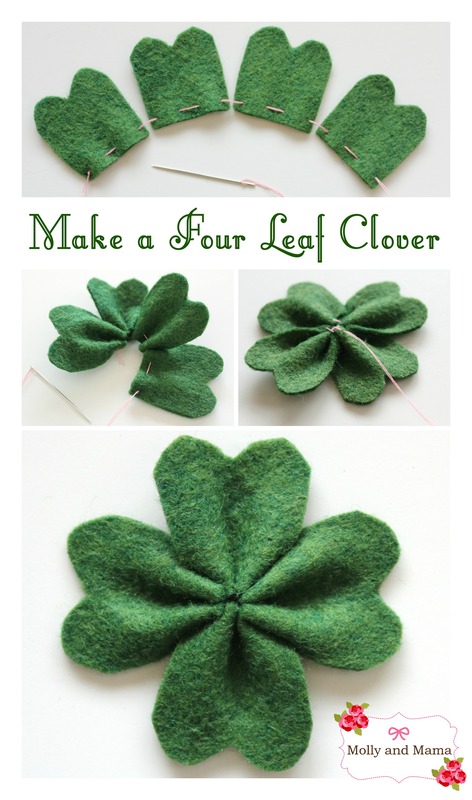 I stitched up five mini shamrocks using my four leaf clover tutorial. Each ‘petal’ was made with a tiny 1cm (0.4″) square of felt. 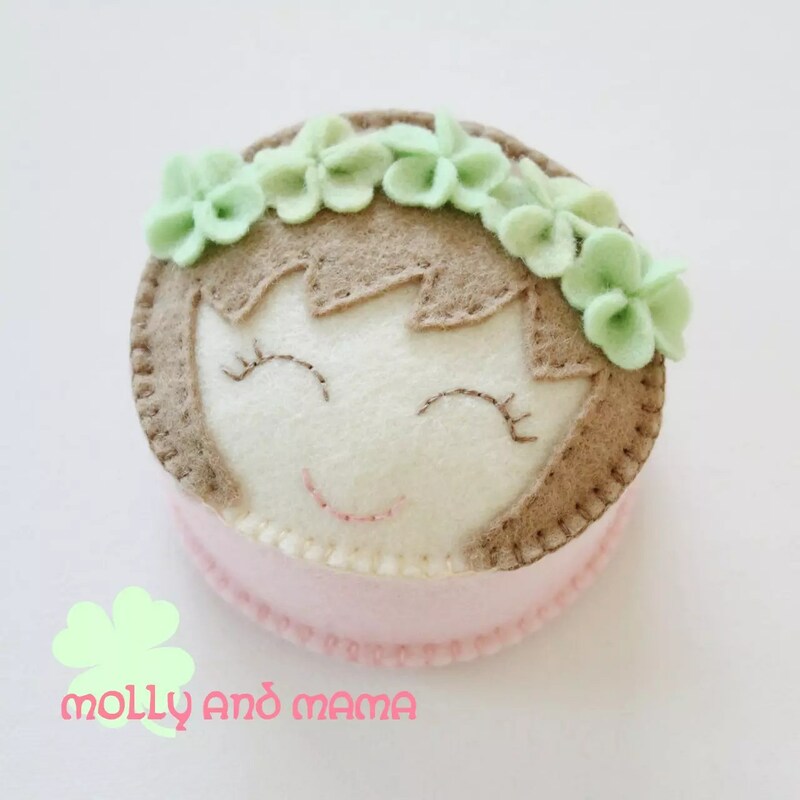 They made the prettiest hair wreath for my Miss Molly pin cushion. 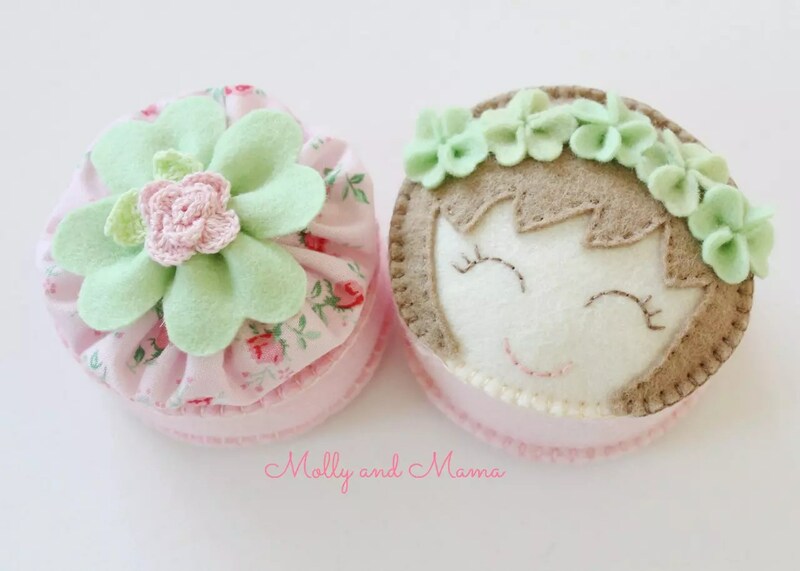 You can pick up the Miss Molly pin cushion pattern in the store. Wouldn’t she look pretty with a flower wreath for Easter too? 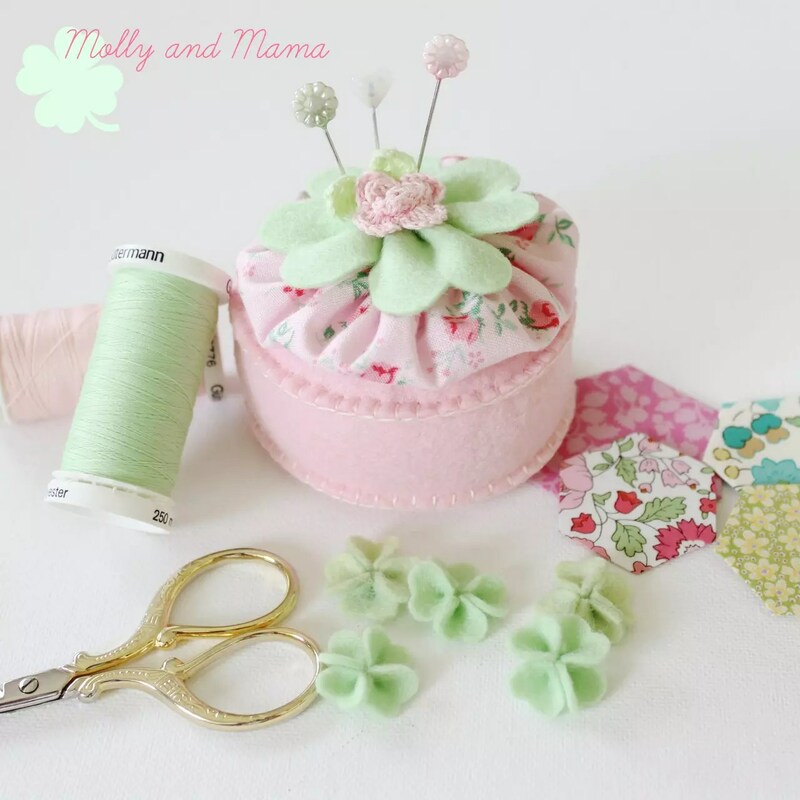 Do you sew for Saint Patrick’s Day? I’d love to see what you make if you do! 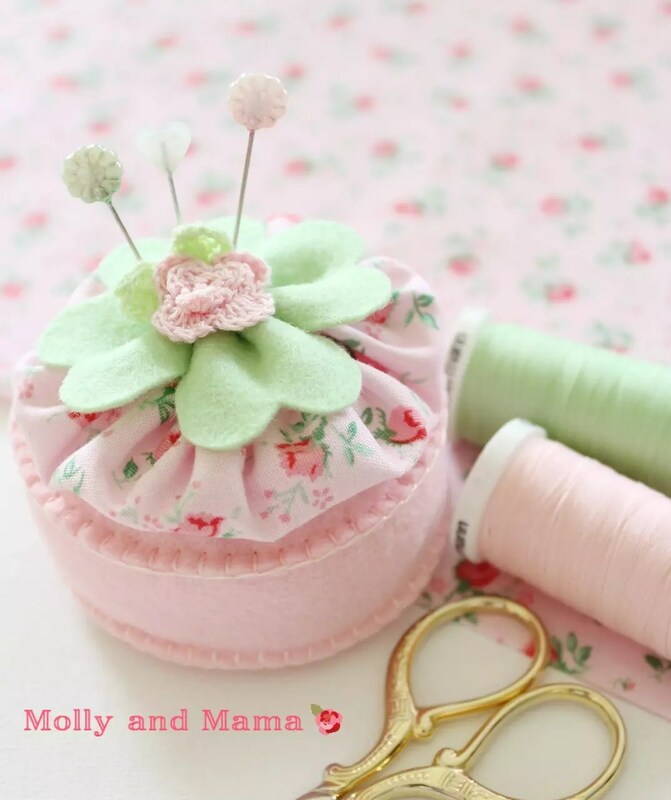 Tag me on Instagram – #mollyandmama. And follow Molly and Mama to see all the behind the scenes images and daily updates. 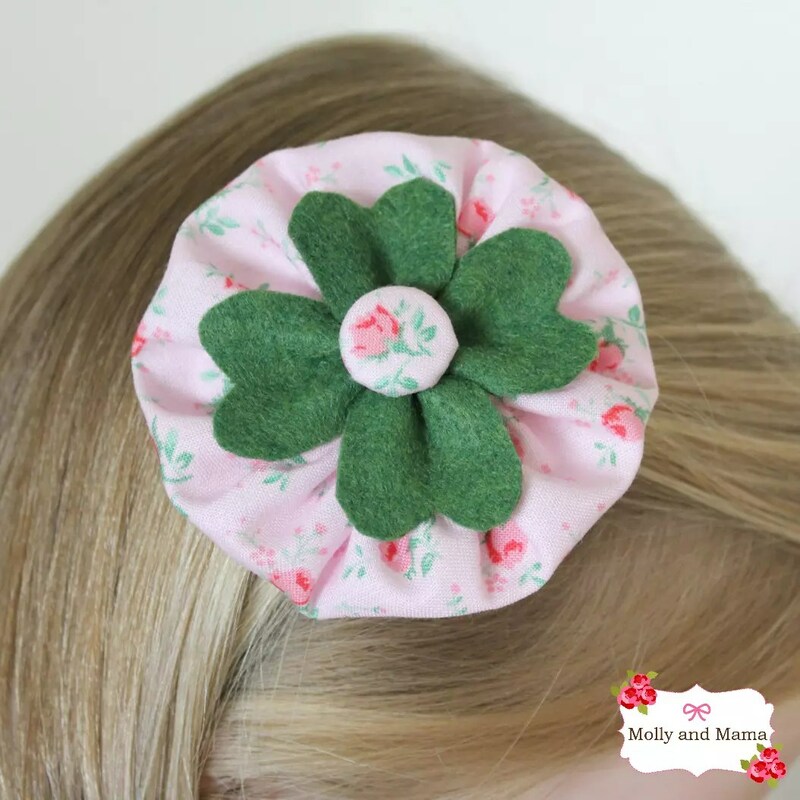 Try my Shamrock Hair Clip tutorial if you like. And I hope your day on the 17th is a lucky one!